Which hardwood floors are best for areas with high footfall? When choosing a new wooden floor it is extremely important to think about the amount of traffic and footfall that the particular area will get. 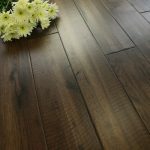 If the room or area is likely to receive relatively low footfall then it does not cause a problem, but if it is expected that a relatively high number of people will pass through, or it is a busy room (hallway, living area, etc) then it is worth considering a harder and more durable hardwood floor. This entry was posted in Wood Flooring and tagged durable wooden floors, hard wood flooring, durable wood flooring, Janka Hardness Scale, solid wood flooring on September 14, 2015 by Chris Elliott. What is the Janka hardness scale for hardwood flooring? 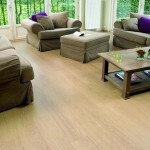 When choosing a hardwood floor, one of the main considerations may be how hardwearing it is. 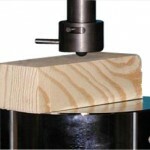 As wood is a natural product, different wood species have different strengths and levels of durability. This entry was posted in Wood Flooring and tagged Janka Hardness Scale, Oak flooring on June 2, 2014 by Chris Elliott. 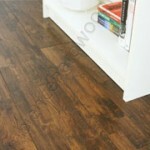 What are the differences between wood flooring species? Wood flooring comes in a variety of species consisting of different colours, grains and hardness to meet individual requirements. As all hardwood flooring is a natural product there will be slight variations in colour and grains with any species of wood. A unique look can be achieved by adding stains and finishes once the floor has been installed. Most wood flooring is available in solid wood or engineered wood format, with either a tongue and groove or click system profile. Some species of wood are also available in parquet block. This entry was posted in Engineered wood flooring, Wood Flooring and tagged Janka Hardness Scale, Walnut flooring, Oak flooring, Maple flooring, Ipe flooring, Lapacho flooring, Kempas flooring, Jatoba flooring, Hickory flooring, Cherry flooring, Blacknut flooring, Beech flooring, Bamboo flooring, Ash flooring on August 28, 2013 by Chris Elliott.